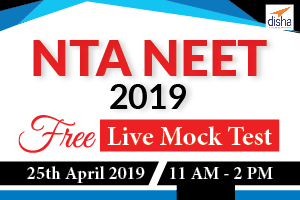 Check your exam readiness with the Free Live Mock Test for NTA NEET 2019 (Schedule for Live online Mock Test : - 25 April -2019 - Timing - 11 AM - 2 PM. )These mock tests will help you determine your current status of the preparation and will help you elevate yourself and prepare yourself for the exam. Each mock test has the detailed analytical reports which would help aspirants identify the areas they need to work the most on. Mock Test series is the crucial part of the preparation process. 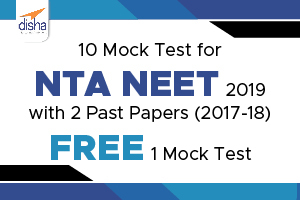 Taking NEET 2019 online Mock test in the actual exam pattern is paramount to scoring well in the exam. 1. 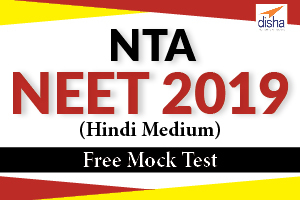 Taking NEET 2019 Mock Test Series will help get used to the difficulty level of the exam. 2. You will get a clear idea about NEET 2019 pattern. Practice is the key to success Disha Publication has launched online test series for AIIMS 2019 Exam where you can find preparation tests for the exam. In this test Program 3 Online Mock Tests are available. These mock tests will help you determine your current status of the preparation and will help you elevate yourself and prepare yourself for the exam. Each mock test has the detailed analytical reports which would help aspirants identify the areas they need to work the most on. Mock Test series is the crucial part of the preparation process. 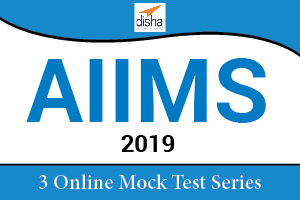 Taking AIIMS 2019 online Mock test in the actual exam pattern is paramount to scoring well in the exam. 1. 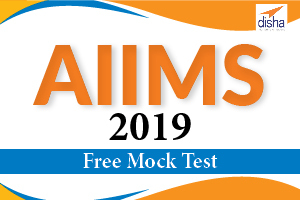 Taking AIIMS 2019 Mock Test Series will help get used to the difficulty level of the exam. 2. You will get a clear idea about AIIMS 2019 pattern. Practice is the key to success My Learning Graph has launched online test series for NEET 2019 Exam where you can find preparation tests for the exam. In this Test Program 10 online Mock Tests & 2 previous year papers are available. These mock tests will help you determine your current status of the preparation and will help you elevate yourself and prepare yourself for the exam. Each mock test has the detailed analytical reports which would help aspirants identify the areas they need to work the most on.